One of my NEW YEAR RESOLUTIONS was to complete several decorating "projects" that for various reasons had gotten placed on the backburner. 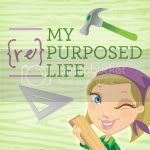 However, because of my addiction to treasure-hunting and thrifting, instead over the past couple of weeks I have succeeded in finding new projects to add to that to do list. 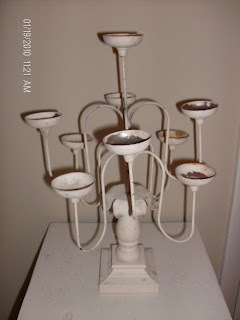 I have been searching to no avail for a vintage chandelier for my bedroom. 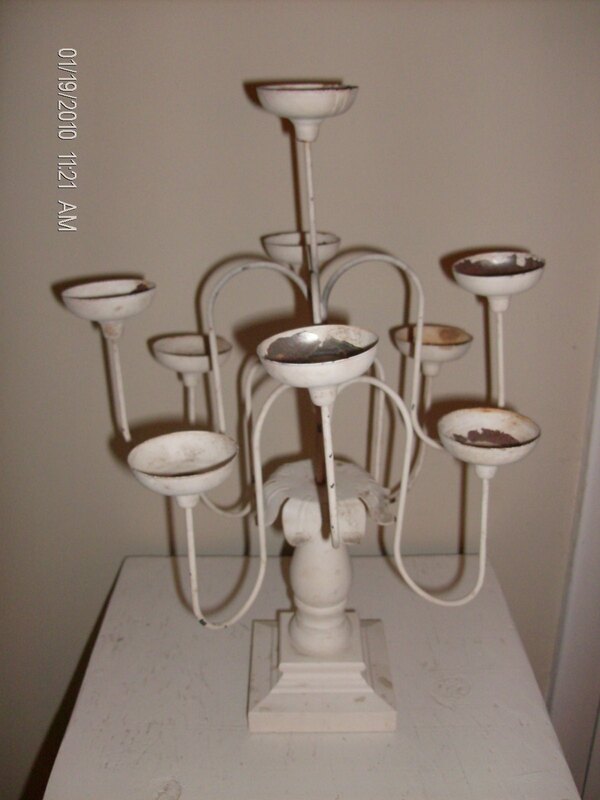 Well, I still haven't located that perfect one, however, I did find this wonderful candelabra at the local Good Will store for $2.00. It holds ten pillar candles and will be a wonderful source of ambient lighting on the desk I am PLANNING to paint and use as a nightstand. 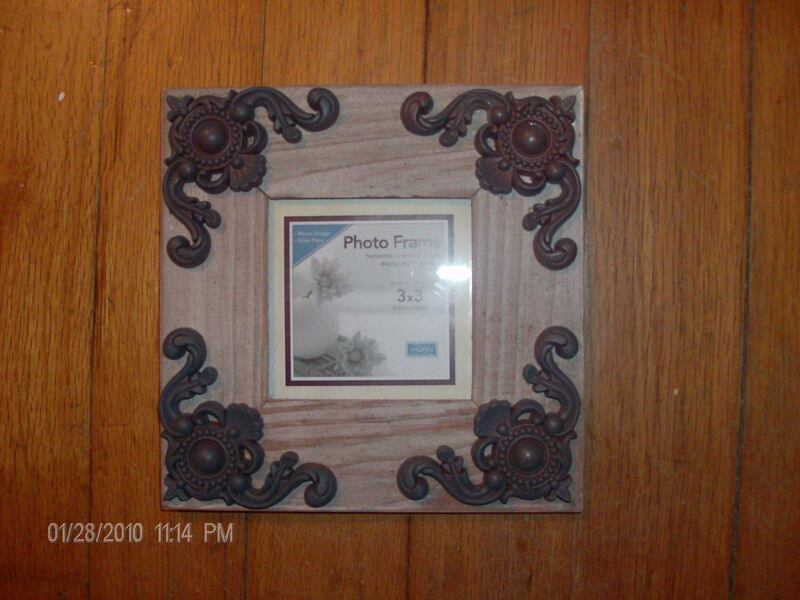 Now I just need to decide what color to paint it, hopefully before I go back to Goodwill. 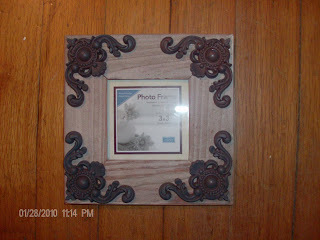 Another fabulous find was these Dollar Tree photo frames. I absolutely LOVE the detailing of the appliques. I plan on painting them white and possibly antiquing them for a wonderfully distressed look. So Shabby Chic!! 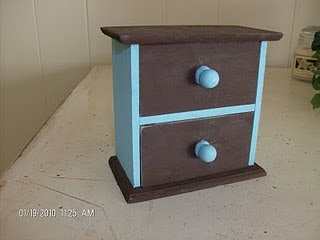 My last little treasure of the week was this cute 2-drawer chest that I picked up for a mere .50. It will add a little extra storage for small items and will look great after a centsibly chic makeover.